We all know mocktails for kids are a great option for holiday entertaining, but mocktails are also a great option for grown-ups who are looking for something fun without alcohol. 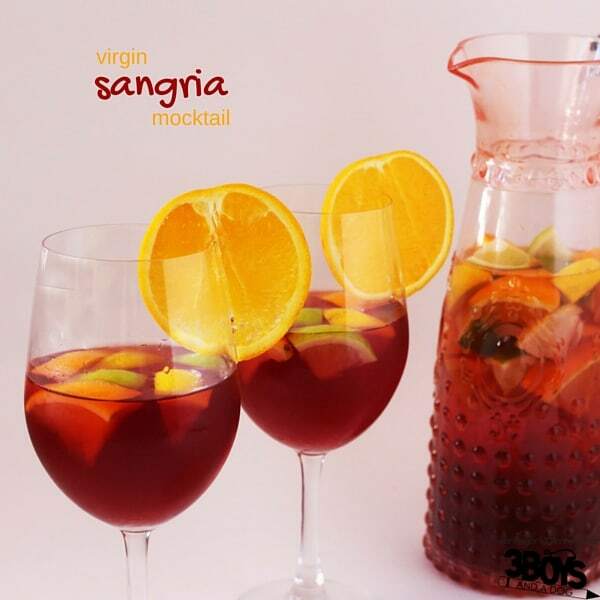 This Virgin Sangria Mocktail Recipe is a fun and festive option that is super quick to whip together right before your guests arrive, or even with them helping! 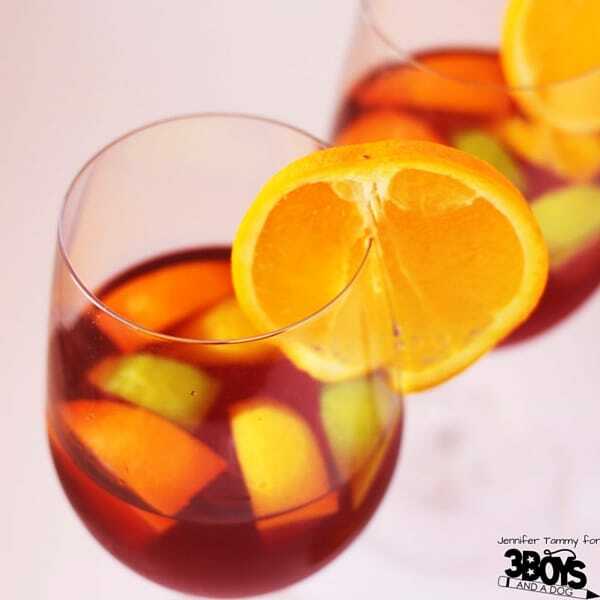 A traditional sangria contains red wine, lots of summer citrus, and sometimes some club soda for a bit of added fizz. It is often chilled, making it a great summer sipper. 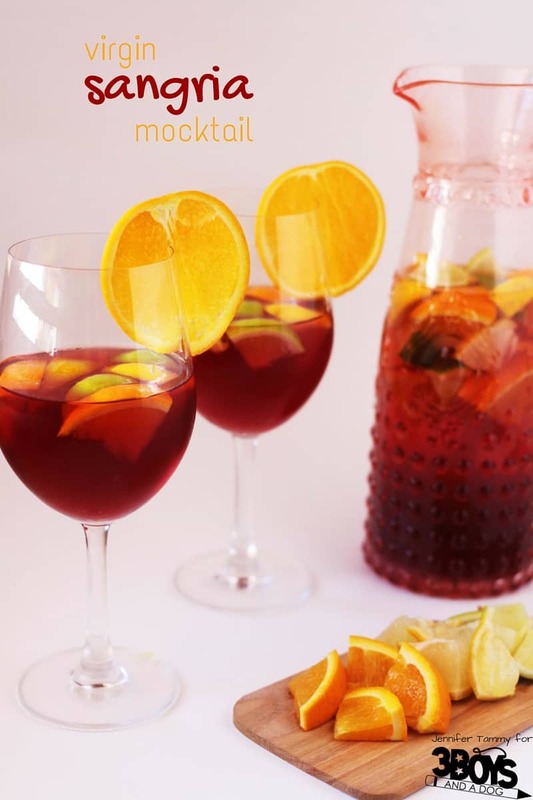 Although sangria is usually associated with summer, being a lighter drink it is a great choice for serving before supper and the citrus plays well with many holiday favourites. I played around with a few variations for this virgin sangria mocktail recipe, and my favourite used 1 part club soda to 2 parts cranberry juice. I preferred cranberry juice in this recipe to the more expected grape juice – I think the acidity of the cranberry juice worked better with the citrus and soda, despite grape juice’s similarity to wine. 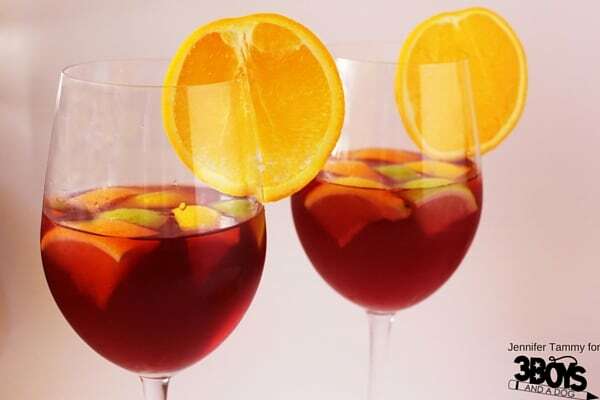 You can use whatever fruit you prefer or already have on hand, but I went with the traditional citrus choices that you typically see in a sangria. Use a few different varieties of citrus for some lovely full-bodied citrus flavour – I like to think of it as a three-part citrus harmony in your drink! Chill the entire karafe before serving. If you’re using cold juice you can serve your virgin sangria mocktail right away, but it’s nice to let the citrus juices blend into the cranberry-soda before serving. If you’re looking for more mocktail recipes, check out our mocktails for teenagers.